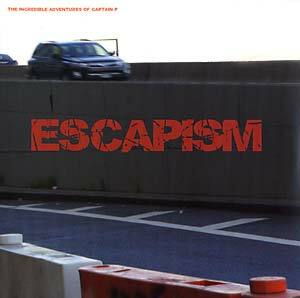 "Seven years ago Fred P released the CD version of his classic cult album The Incredible Adventures Of Captain P. 2017 sees the second installment based on the concept of Escapism, a word that embodies a personalized experience. Smart phones combined with social media encourages beings to create their own realities, which is escapist behavior. Fred P embraces this state of mind and expresses both the need to tune out and the urge to tune in. This dialog of 11 tracks and interludes captures his surroundings, while reflecting the solitude of headphones. This is a constant stream of consciousness that takes you on a journey into a dimension of sound. It will evoke positive vibes and remind you that our changing world is always in state of flux."